If you are wondering about some of the on-demand image editing services, clipping path is definitely one of them. This is such a fundamental service that you need it in various businesses including jewelry business. Clipping path is a sought-after service due to the accuracy it renders during the selection of path. If you wish to carry out jewelry business online, resorting to clipping path service is imperative. By employing this tactic, you can spice up your jewelry images and boost up the chances of sale. When you take snapshots of jewelry such as necklace, bracelet, earring, ring, bangle, brooch, etc. for posting in e-commerce sites, errors are likely to occur. This happens sometimes due to sloppy approach towards photo shooting and sometimes due to instrumental error. Among various products sold online, jewelry is worth mentioning. Once a piece of jewelry is captured, it cannot be posted in e-commerce site directly. Rather, it has to be retouched professionally with various photo manipulation tools to lure the buyers. Clipping path is an excellent strategy to optimize jewelry by eliminating unwanted objects or isolating the background of a particular image. Very often, jewelry images after clicking contain unwanted materials, blemishes, and haziness in the background. These pitfalls must be resolved to put forth the jewelry exquisitely and fascinatingly to the buyers. Here, clipping path technique comes into play. With this technique, you can create a path around the edge of an object with the pen tool in Adobe Photoshop and separate the selected path from the rest of the parts. Following that, you can place the object on a suitable image; an image that can pull the buyers towards the item. Likewise, you can also separate the subject of an image from its background with this tactic. This will not only enable you to make your product stand out than your competitors but also you can boost up your sales. How Clipping Path Complements Online Jewelry Business? To flourish in e-commerce jewelry business, it is pivotal to present a piece of jewelry with full of splendor. Apart from the product, the background also catches the attention of the buyers. After you snap the piece of jewelry, you must examine whether it aligns with the background. However, it is not uncommon to have incompatible background while clicking jewelry. With the application of clipping path, you can remove or replace the background, modify the background color, remove unwanted objects, and beautify the overall jewelry image. All the buyers are not like-minded and hence you have to attract the buyers employing various strategies. You have to put forth your products with different designs and colors. 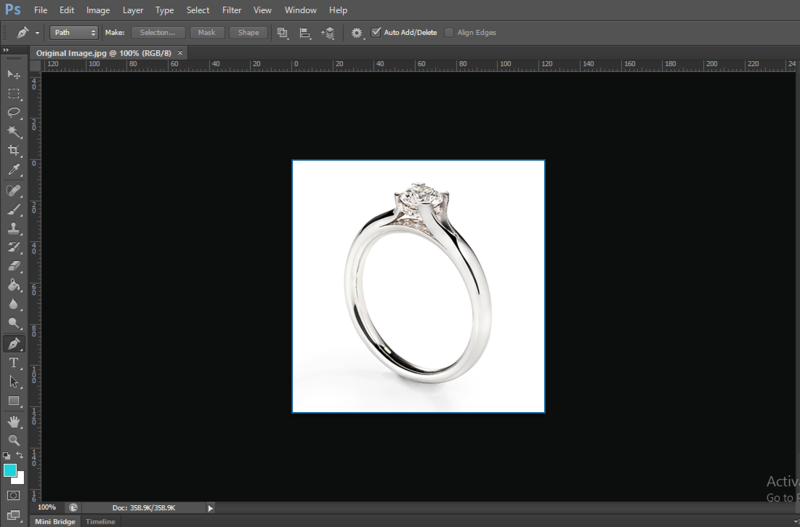 This method enables you to customize your jewelry images and bring variety in different images. How to Create Clipping Path? 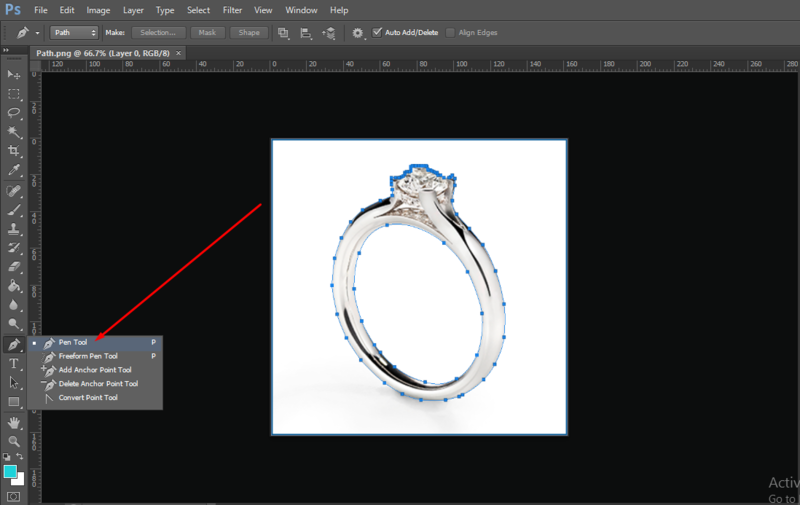 At first, open the Adobe Photoshop and load the piece of jewelry in which you want to create path. Select the pen tool from the toolbar and draw around the edge of the object. Once you complete your drawing, a path will be created around the edge of the object. 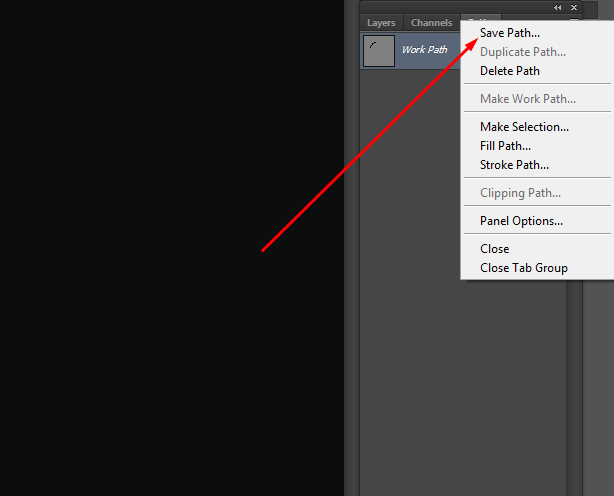 Next, go to the Layers palette and select the Paths panel. Following that, click on the triangle shaped icon at the top right corner of the panel and select “Save Path”. 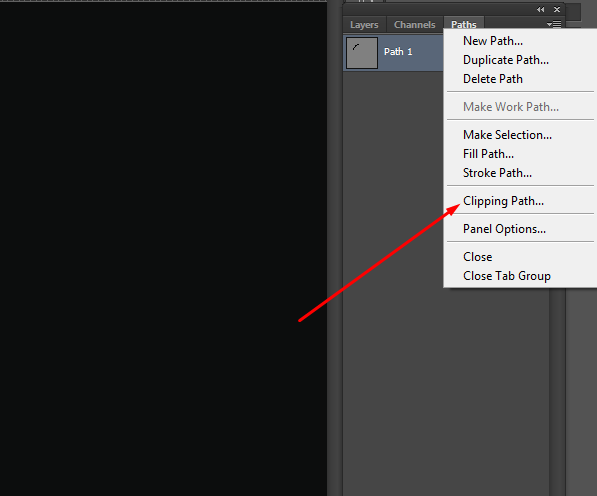 Then, click on the drop-down menu from the same Path panel and select Clipping Path. This will make a dialogue box appear with a variety of settings. Ascertain that your path is selected and click “OK”. Now, it’s time to save the created clipping path to the Photoshop project. Proceed towards the File menu and select “Save As”. 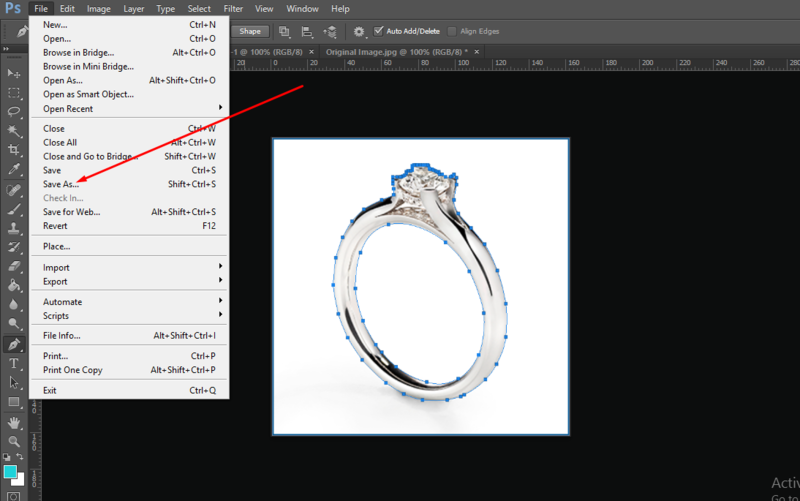 Choose “Photoshop EPS” to save your Photoshop file. Apparently, creating clipping path is a walk in the park but there exists a world of difference between the work of a professional image editor and an amateur image editor. To accomplish this task with precision, it requires professional touch. A rookie image manipulator can create clipping path but he is likely to end up with minute defects in his drawing. Color Experts International, Inc. is a world-class image processing company providing clipping path service for over 30 years. We have more than professional 250 image retouchers who are highly experienced in various image retouching projects including clipping path. They are not only experienced in clipping path project but also accomplished in it. Our image enhancers are so deft and seasoned in this particular task, they have developed muscle memory in creating path which results in flawless clipping path service. So far, our service has attracted loads of companies including graphic design agencies, e-commerce sites, fashion houses, catalog design companies, and newspaper publishers. If you are engaged with any project requiring clipping path service or any other photo manipulation service, you can approach to us. We guarantee that you would receive best in class service from us. For more details, visit our website-https://www.colorexpertsbd.com/. You can also ping us for any query.